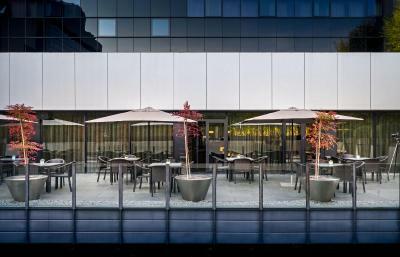 Lock in a great price for AC Hotel Atocha, a Marriott Lifestyle Hotel – rated 8.6 by recent guests! Shower was super dope. In the middle of the room and had glass all around. Could see the whole room from the shower. It was a beautiful property, well maintained and stylish. Staff was very helpful. They directed me to a great local Spanish restaurant one block away which I really enjoyed. Walking distance to the big museums. 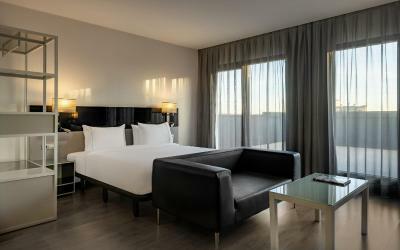 Modern hotel, clean and its location to the train station was great. The staff was always nice and greeted us every time. Nice neighborhood Location was handy to the metro. Hotel was true to Marriot standards. Close to Atocha train station. Location was ideal and safe. Clean, near the museums and Atocha. Very quiet at night though centrally located. Good hotel for short business stay. Very good location, close to all interesting sites. Gorgeous room with a comfortable bed. 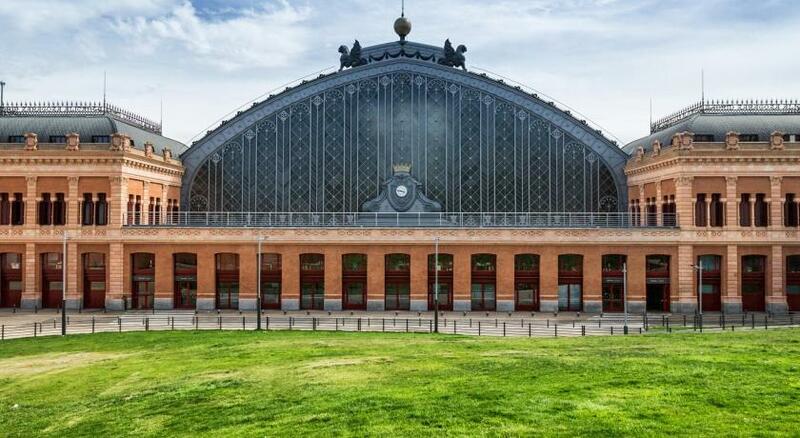 Nice location near the station of Atocha, which is by the way a calm place even at night. 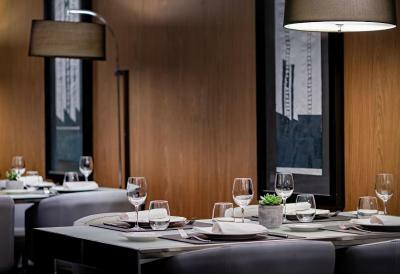 Very near to Reina Sofia art gallery and the El Retiro city park. Easy to reach from the airport with the bus shuttle. 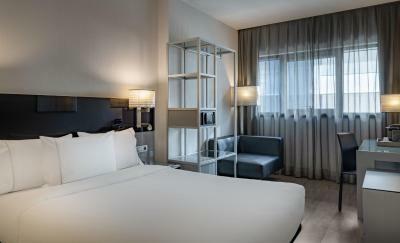 Modern hotel with very comfortable rooms, walking distance (5 min) to the main train station or metro. Friedly and helpful staff. 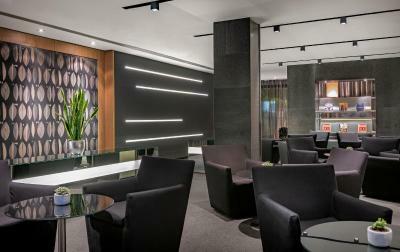 Very modern but comfortable hotel with a small bar and restaurant. Excellent breakfast. Friendly staff and only 5 minutes from the main train station. Good location. 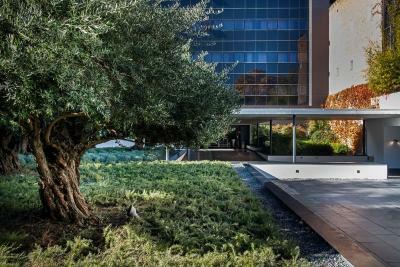 AC Hotel Atocha, a Marriott Lifestyle Hotel This rating is a reflection of how the property compares to the industry standard when it comes to price, facilities and services available. It's based on a self-evaluation by the property. Use this rating to help choose your stay! 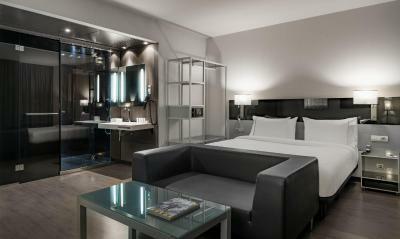 One of our top picks in Madrid.This hotel is set in the heart of Madrid, just 650 feet from Puerta de Atocha Station. 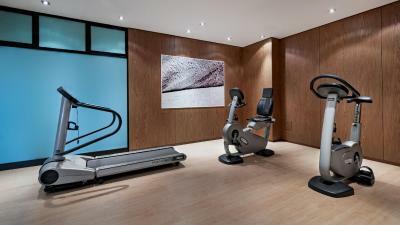 It offers a fitness room with free mineral water. Free WiFi is available in all areas. 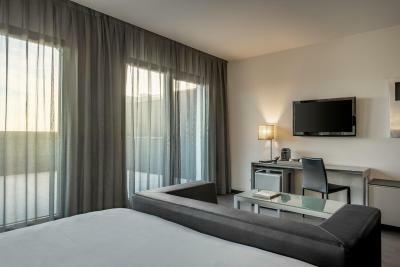 Each stylish room at AC Hotel Atocha is decorated with modern furnishings. 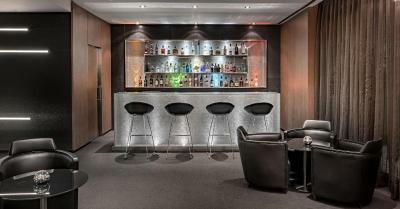 They feature air conditioning, a mini-bar and a safe. 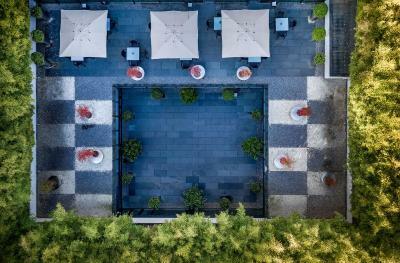 The hotel has an elegant bar and the AC Lounge, serving creative versions of traditional dishes. Room service is available from the 24-hour reception. 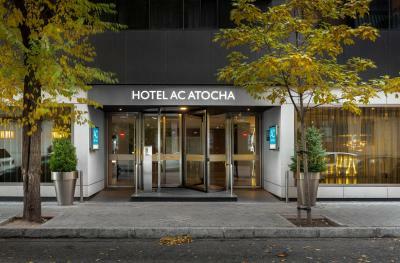 The AC Hotel Atocha is a 5-minute walk from The Reina Sofia and Botanical Gardens. 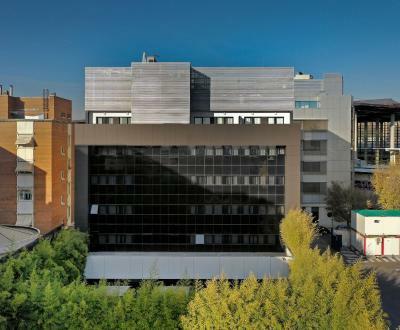 It is also just 10 minutes’ walk from the Prado Museum. 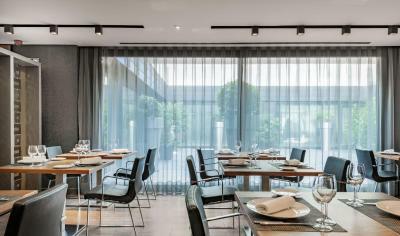 When would you like to stay at AC Hotel Atocha, a Marriott Lifestyle Hotel? 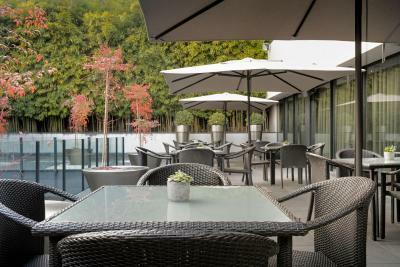 This stylish, larger room type is on the top floor of the hotel and has a private terrace with an impressive views of Madrid. It has a sofa, separate dressing room and flat-screen satellite TV. There is a king bed with different pillow types and special reading lights. 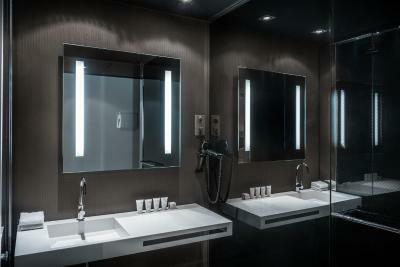 The private bathroom includes a rain shower, hairdryer and free toiletries. Public parking is available at a location nearby (reservation is not possible) and costs EUR 23 per day. 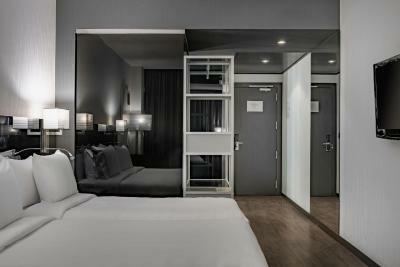 This modern, air-conditioned room has a minibar, flat-screen satellite TV, special reading lamps and and a sitting area. 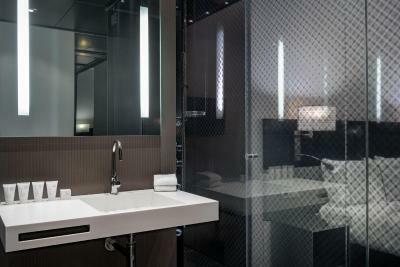 The private bathroom includes a rain shower, hairdryer and free toiletries. 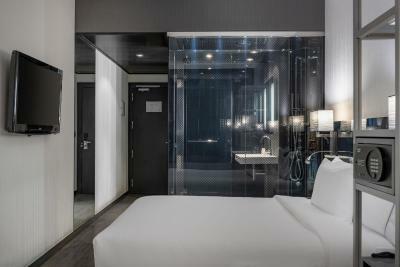 This double room features a tea/coffee maker, bathrobe and mini-bar. 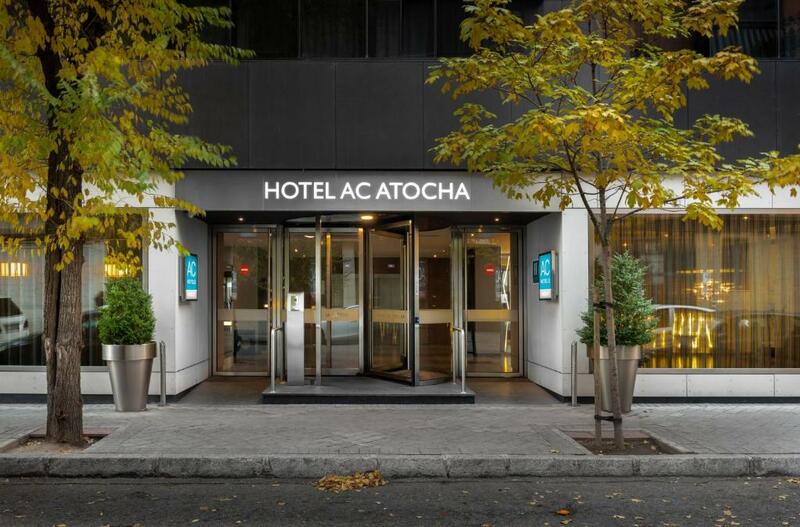 The 161-room modern AC Atocha Hotel in Madrid is ideally located in the centre of the city, well connected to the IFEMA exhibition centre, and allows for easy access to and from Barajas airport. 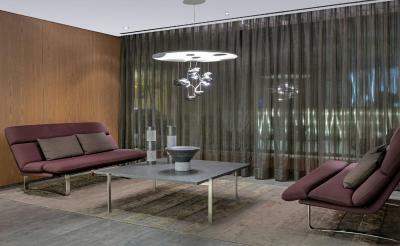 House Rules AC Hotel Atocha, a Marriott Lifestyle Hotel takes special requests – add in the next step! 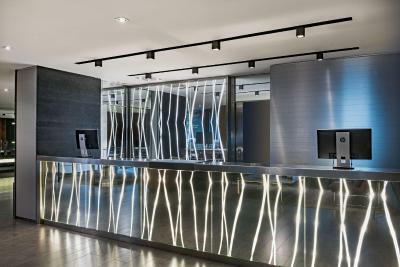 AC Hotel Atocha, a Marriott Lifestyle Hotel accepts these cards and reserves the right to temporarily hold an amount prior to arrival. 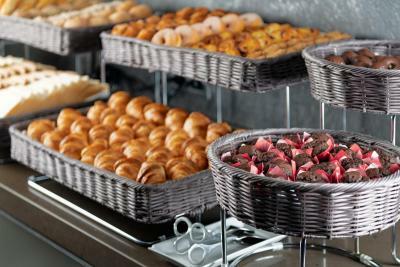 If breakfast can be provided, that will be good. The staff at the reception are very nice and helpful. From the start we were given the wrong room. I was never told i need to lug my bags down the elevator into another building and then up the elevator. I wanted a king bed but was not available. It seemed the hotel treated booking.com customers as second rate when compared to their regular customers. So disappointing. 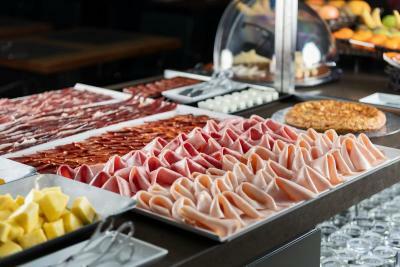 Large variety in breakfast buffet. Walls are a bit thin. I could hear the neighbours. 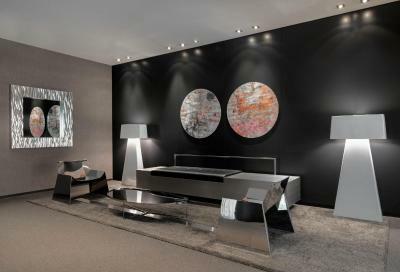 Big room, modern furniture and style. The rooms were clean but were due for good deep cleaning. Fitness centre very small and with no weights. 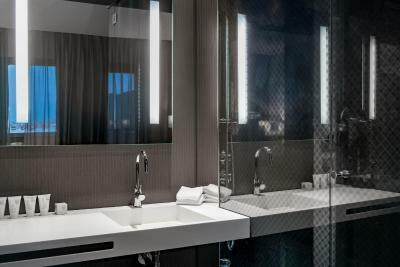 Colour scheme (very dark) and glass shower! 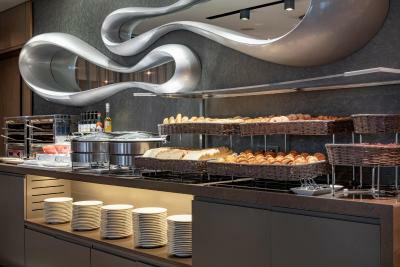 The breakfast could have been more clearly labelled as it was hard to tell what juice or milk was what and perhaps a few more options, but still a good standard continental breakfast. Lovely staff who were incredibly helpful about getting around Madrid and restaurant recommendations. The power shower in the room with jacuzzi jets; although you would only want that room if you were with a partner as it is see through. The first room I got was quiet but temperature was too cool. 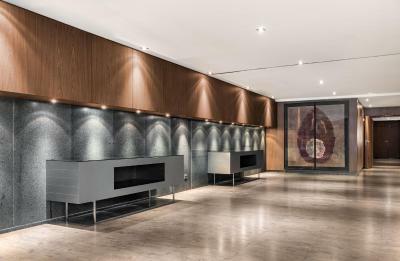 The decoration is modern but rather cold and dark. The floor of the shower "cage" is metallic and feels cold. 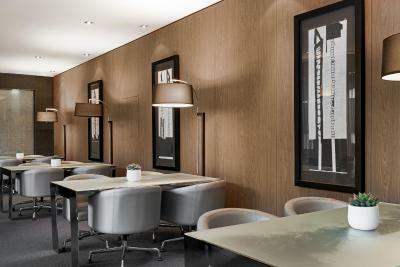 The room was in a building separate from the main facilities (reception, bar, breakfast). 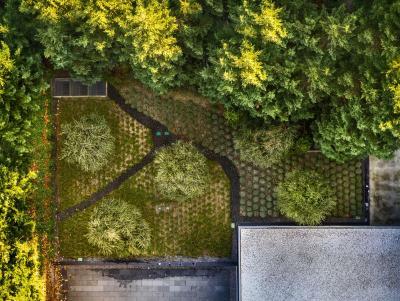 You have to walk through a patio. Not very plesant with low temperatures. Staff was very friendly and helpful. They changed my room for the second night and offered a free drink of the minibar to "compensate" for the inconvenience. Very well appointed room which was warm, comfortable and met my needs. 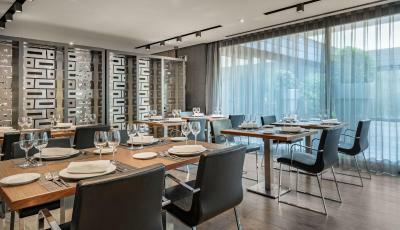 Convenient to Atocha Station and the City.